The color, the texture and the scent of a lavender field are so impressive. A while ago I heard a couple say they like to escape into lavender fields. And I fully agree. They inspired me to create this painting. 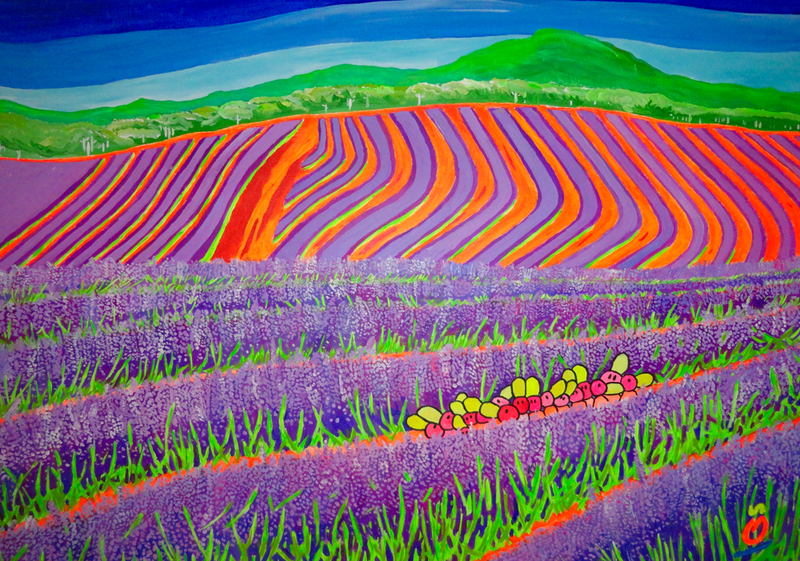 The painting is based on the Bridestowe Lavender Estate at Nabowla, Tasmania, It is really breathtaking in any season with panoramic views over the lavender fields to Mount Arthur. For me it is about a colorful pattern of turning lines. From the sky, slowly into the field.